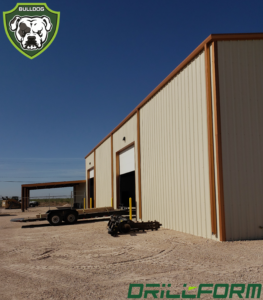 Drillform has opened a new shop and service facility in the Permian Basin. Drillform is pleased to announce the expansion of our operations into the Permian Basin to support this booming region in the United States. Boasting 7,500 sq. ft. of shop space including overhead crane capabilities, Drillform’s large outdoor yard allows for rig-up activities to occur. We are proud to offer exceptional repair, recertification, assembly and field services provided by a team that possesses extensive experience and a commitment to exceeding client expectations. Drilform offers a best in class suite of automated drilling equipment including iron roughnecks, unique catwalks/pipehandlers, drawworks, power slips, pipe cleaning systems and top drives.